And what do you end up doing with the paper version of the form? Throw it in a stack of papers on your desk. Of course you’ve added to a different problem: that pile of paperwork on your desk that never goes away. There has to be a better solution that doesn’t involve complicated filing processes that no one wants to deal with. Fortunately, there is an easy way to solve your problem: Oblique file folders. So how can you use the Oblique file folders? 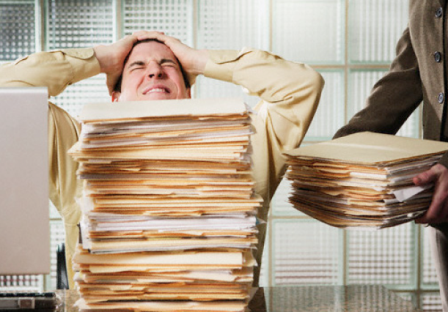 One way is to put them in your desk drawer, and drop paperwork in the folders instead of piling it on your desk. You can label the folders based on where the document needs to go. This way you can keep papers manageable for now, and then sort through them when the time is right. And that form from the above scenario, you should probably put it in a folder to be thrown away. But not just in the trash! Make sure you shred it up so that any credit card or sensitive information is destroyed. If you don’t have a shredder for stuff like this, you can find one online at OSFU. What Makes Oblique File Folders Different from Regular File Folders? are strong enough to hold almost 20 pounds of weight. have hooks that allow you to hang them in shelves or drawers. come with magnified, easy to read labels. work with letter, legal and oversized documents. 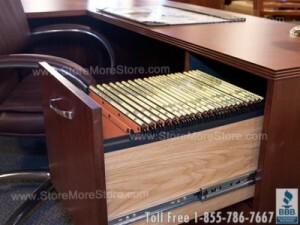 StoreMoreStore has a variety of Oblique file folders that you can browse through online. And if you can’t find what you’re looking for or need assistance, give us a call at 1-855-786-7667.